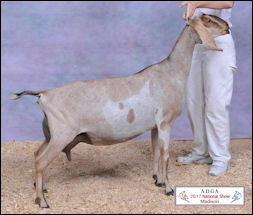 Ah Katy.... She was sold to dear friends as a kid and came home as a 3 year old. 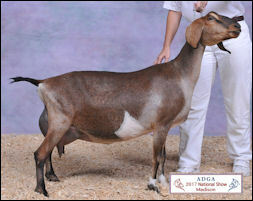 Another very correct doe in structure and general appearance. Her extreme coreectness of structure keeps her strong and looking young. 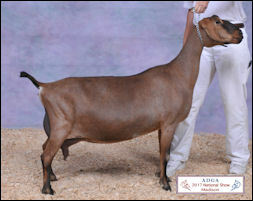 Penny is a beautiful doe that had a promising start to her show career that was horribly interupted by mastitis. 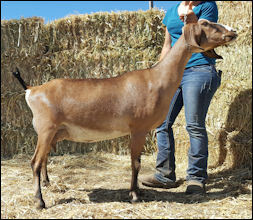 She is proving herself to be a valuable brood doe, with lovely daughter Copper Penny! Harmony is a repeat of my love, Melody. She is flatter boned, and more tightly put together overall. 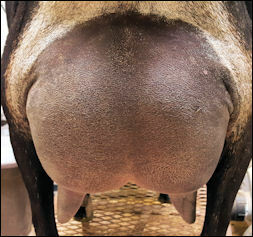 Her rear udder is phenomenal, being both extremenly high and wide. Panamera is the powerful sister of our A.I. twins from Sonset and Porsche. 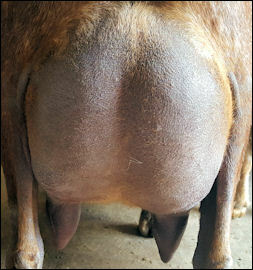 Very wide and well sprung for her size, with the width carrying back into the rear udder. 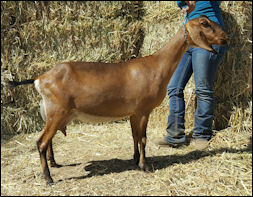 Her foreudder just seems to get long and longer as she ages! Cistalia was my pick from the twins. 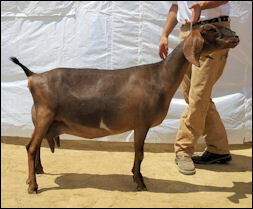 More refined in skin and hair at birth I just knew she was "my type" While it slower to develop, she continues to improve with every year of maturity. Definitely a doe that is going to hold up into her old age! 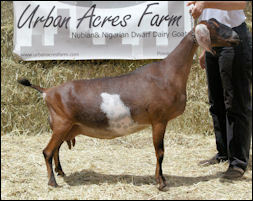 Besides her quality in general appearance, she has a gorgeous mammary, being well attached, balanced, and attactive to look at and milk. 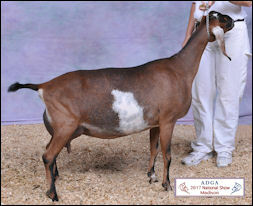 Her teat placement and shape is exactly what we are breeding for! 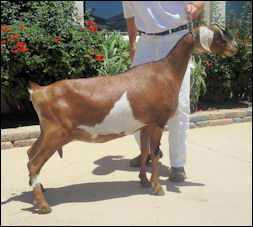 With Buttons having the leg injury, I repeated the breeding in hopes of getting the same qaulity animal with the ability to compete in the ring. Fancy does that quite well. Like Buttons, her mammary is amazingly high and tight. Copper was such an akward child! Truly the ugly duckling that grew into a swan. 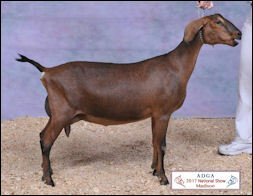 I knew it was all there, and appraisals reflected it, but we chose not to show her until she turned 3. 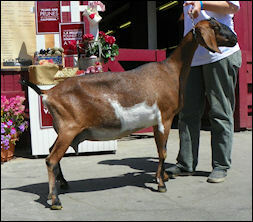 She started the show season with a "BANG!" 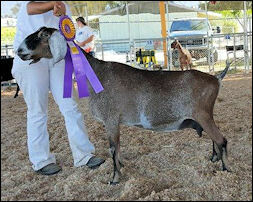 going grand 4 out of 4 judges, 2 times Best of Breed in competative Champion Challenges, and earning "Best Udder of Show" at the Pima County Fair. Tore is a sleeper doe. 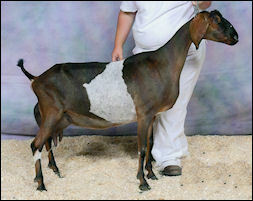 Not too flashy as a first freshening 2 year old. 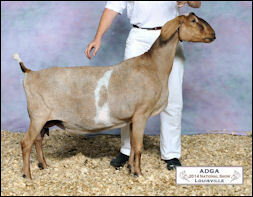 not too big, not much "Wow" like her herdmate in this age group Blondie. But watch her. 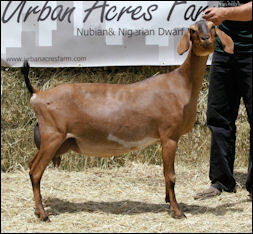 She is going to be a true to form Urban Acres doe. 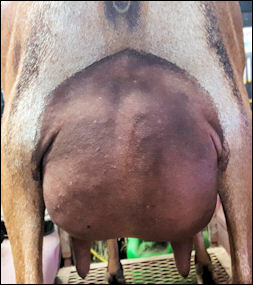 She is super correct in all areas of general appearance, with a high, tight, globular mammary from all angles. She will stand the test of time. Blonde was a "wow" baby from the moment she hit the ground. 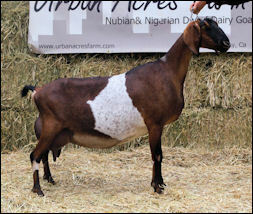 Once fresh she didnt disappoint, coming in with a beautiful udder, very much like her dam and sister Harmony. She is so striking and eye catching in appearance, long, tall and wide. 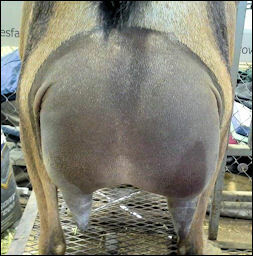 the best rump in the herd, being beautifully Level, long, wide and flat thurl to thurl. I love my Porsche daughters, didn't matter who i bred that doe to the daughters were excellent in genteral appearance and mammary. 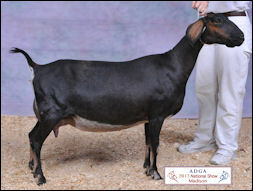 I look forward to watching her develop over the years. Like her mother she is built to last well into her teens. 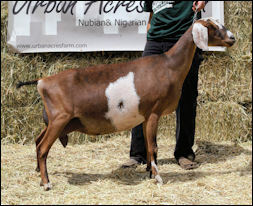 Kimber had a VERY rough pregnancy in 2017/18 and skipped the 2018 show season. 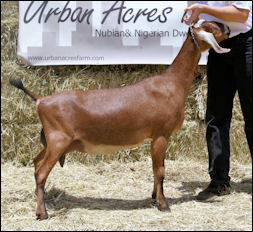 SG Urban AcresTroubadour +*B "Turbo"
Urban Acres LMO Big Red "RB"
Barbie is my husband's top show doe. 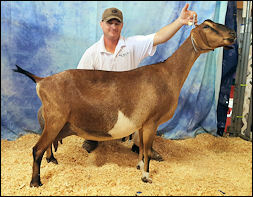 She is very long, with a lovely balanced mammary, and lot of body capacity. Quite an easy keeper lol. 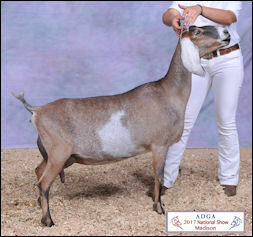 She tends to throw a very particular face and ear set, but we dont milk that end! 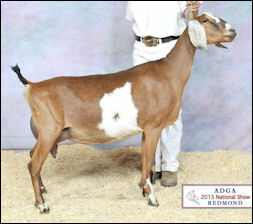 Porsche is one of our original starter herd we bought in 2006, and my favorite brood doe. 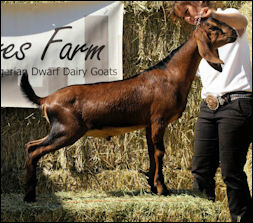 She suffered a crushed foot at 7 days old, and it hampered her show career. 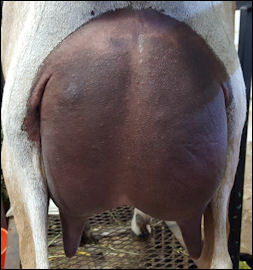 She has an amazingly high rear udder with near perfect teat placement size and shape.